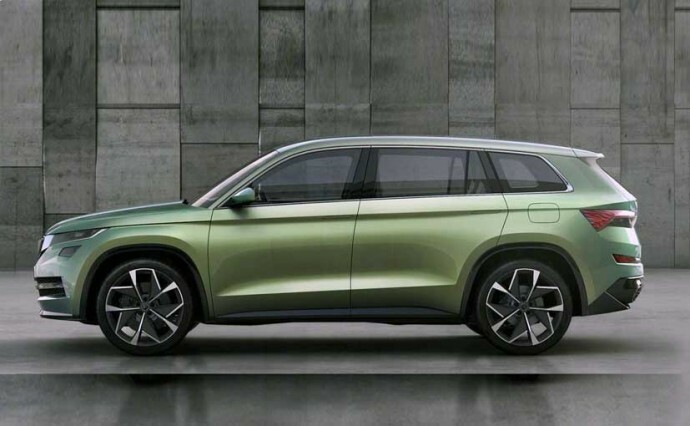 After months of teasing the world, Skoda has finally unveiled the plug-in hybrid VisionS Concept SUV ahead of the Geneva Motor Show. This upcoming large SUV, likely to be christened “Kodiak” upon launch. 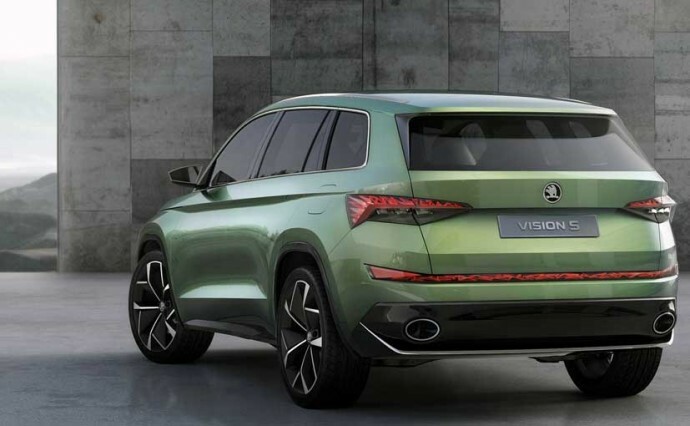 According to Skoda, the VisionS Concept is influenced by Czech Cubism and Bohemian crystal art. This is supported by angular appearance and aggressive character lines on the bonnet, front bumper, side profile, and rear. TheKodiak’s design scheme feature a sloping roofline. It also comes with sleek LED headlamps and a wide air dam. The car’s dimensions stand at 4,700mm long, 1,910mm wide, and has a height of 1,680mm, and it’s based on the MQB platform. The Kodiak is powered by a petrol-electric hybrid engine. This will be a 154bhp 1.4-litre petrol engine paired to two electric motors, a 54bhp while the other comes with a gearbox-mounted unit and a 114bhp (with 270Nm) rear axle-mounted motor. The Kodiak is capable of doing a impressive 0-100kmph in 7.4 seconds and has an all-electric range of about 50km. The Skoda Kodiak promises to go 1,000km on a single charge, and can be chosen to operate the car purely on electric power, or activate the petrol engine to aid progress and recharge the battery.